I’m no graphic designer, and I don’t have the budget to hire one for my self-published ebooks. I use some great software that makes it easy to design gorgeous looking documents. I love Designrr. If I get stuck on something, there’s a comprehensive help and how-to content including video tutorials. These ebooks are doing a great job in building my marketing list for me. I get two or three downloads of each daily. Designrr doesn’t cost the earth either so I’m pleased with the ROI. Click here to find out about the free trial period. In the video below, Designrr creator Paul Clifford explains how to use an ebook as a lead magnet. It’s a good, quick overview of how content marketing works and is full of practical tips. He explains the concept of content upgrade. He shows you how Designrr works. Have a look. After buying it and publishing two ebooks with it, I’m convinced of its usefulness and value. I’ve signed up as an affiliate. If you decide to use Designrr, click here to get it. I’ll receive a small commission. If you’d like to chat to me about my experience with Designrr feel free to ping me to set up a call. The ability to tell good stories well will be THE disruptive marketing trend for 2018. It moves content marketing beyond the funnel into true, emotional engagement with stakeholder. Writing is the foundational skill for storytelling, no matter if it’s an article, a video or any other story format. Of course, no matter how talented, few people can always write effortlessly. What makes writing great is the process of planning, drafting, revision and redrafting. And, not too many people can dictate a story for transcription and expect it to be any good, without going through the writing process. It’s this process that improves our thinking as our thinking improves our writing. Why is good writing important for social media success? Every 60 seconds more than 500 hours of video is uploaded to YouTube, more than 3.3 million Facebook updates are made, there are 3.8 million Google searches, and almost half a million tweets are published. In owned media, the writer will produce blog posts, social media updates, web content, speeches, video scripts and more. For earned media the writer will focus on op-eds, media pitches, influencer pitches, bylined articles, media availabilities, news releases, photo calls, letters to editors and more. In shared media, a good writer will be creating and compiling social media updates, blog comments, user-generated content, discussion forums, bookmarking, reviews and more. For paid media copywriting, the focus will be on social media ads, search ads, native advertising, sponsored content and more. How do skilled writers improve search engine ranking? Despite the surge in images and video content, words still govern search engines. Google and the other search engines have done a lot to eliminate black hat practices like keyword stuffing and link farming, and search algorithms are now based on identifying content that demonstrates real audience value. In short, it takes useful, entertaining and quality information to get a high search ranking. Using words strategically in the form of titles and subtitles, keywords, summaries and image descriptions all helps, but it’s the storytelling that pushes content onto Google Page One. How does a writer go from good to great? There are exercises that writers can use to get the creative juices flowing. They challenge a writer to invent, compose and create on the fly. What tools and resources does a writer use? Great writers often keep a journal. They use it to jot down notes about ideas and observations as they arise. They might write down descriptive phrases or metaphors as they come to mind, and then use the journal for reference when getting down to the writing task later. Keeping a writing journal will help you when it comes to ideation and brainstorming too. It can help in processing ideas, breaking them down to communicate them effectively. It can help a writer identify story opportunities that might not be clear at first glance. Another tip for writers is to make use of online tools and resources. There are ideation tools, vocabulary tools, editing tools and proofreading tools available free online to support a writer. Click To Tweet There are style guides, and literary databases and content crowdsourcing tools too. But beyond working with online tools, collaborating with a skilled editor can take a good story and make it great. Editors bring a different perspective from that of the writer. They are more analytical and provide improved clarity and style. They provide a final check on the value of a story for audiences. Are you sure your social media expert has the writing chops it takes to succeed? Click here to set up a call to discuss your writing needs. 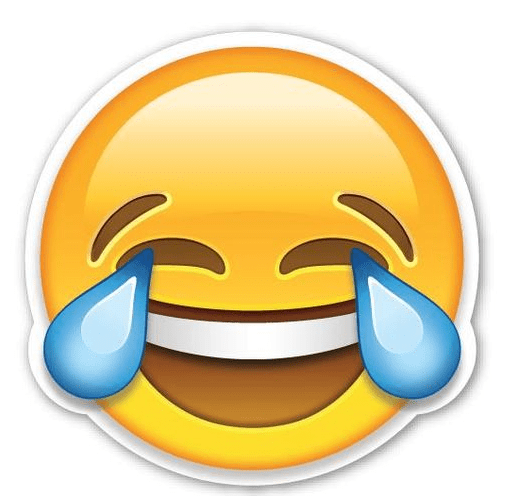 An emoji, ‘Face With Tears Of Joy’, has been chosen by Oxford University Press as the 2015 ‘word of the year’. For the first time ever, something that is not even a word has been given this accolade. This year Oxford Dictionary, arguably the world’s most respected English language reference, partnered with SwiftKey, the tech company behind predictive text, to explore frequency and usage statistics for some of the most popular emoji across the world. Tears Of Joy was chosen because it was the most-used emoji globally in 2015. SwiftKey identified that it made up 20 per cent of all the emojis used in the UK in 2015, and 17 per cent of those in the US: a sharp rise from 4 and 9 per cent respectively in 2014. Oxford’s word of the year is its biggest continuing PR campaign. Built for link bait, this campaign engages English word nerds the world over. Such nerds are often journalist and so, just in advance of the holiday season, it’s the annual campaign that just keeps giving by delivering massive, global media coverage. Recent past words of the year have derived from social media and Internet parlances. Last year was the year of ‘vape’ and in 2013 it was ‘selfie’. Both these selections got massive traction in social media, taking Oxford’s campaign to the next level. This year, by choosing an emoji instead of a word made up of letters, Oxford just might ‘break the Internet’. Emojis work across all languages and cultures and are understood by Millennials and Boomers alike. Those word nerds, however, will frown and pout, but in the end they’ll have to forgive Oxford. Language is like a living, breathing being. It grows and changes and adapts to its environment. The Oxford Dictionary offers only a snapshot to capture a moment in time. And this it is the moment of the emoji. The Ottawa Citizen’s reporting style is on often seen as being funny, quirky and edgy, but it looks like this government-town newspaper has discovered the art of click baiting. Writers at the Ottawa Citizen are taking a lesson from BuzzFeed and the Huffington Post when it comes to headlines and social media updates. And why not? Its website depends on advertiser income so the need to drive traffic is great; the competition for people’s attention is even greater. The Citizen is being clever about it too. Anyone glancing at their Facebook news feed this morning might have been surprised to read this update: “Forecast: Today is expected to be like being hungover in line at a suburban Starbucks drive-thru”. The narrative is snappy and interesting. Who would expect this from a Citizen weather report? The forecast today is expected to be very forgettable. Not bad, not good, just average. Expect some clouds this morning, however things should clear up by noon. The expected high is a pedestrian 7 C. The sky will be clear tonight, with a (kind of crappy) low of -5 C. Ottawa is serving us up a plain cheeseburger. No extras. Not even mayo. …And you know what? We’re fine with today being average. It snowed yesterday, and that sucked. We’re fine with some weather that’s very similar to being hungover in line at a suburban Starbucks drive-thru — a bit of a headache with a very minimal payout. There is no boring weather map either. 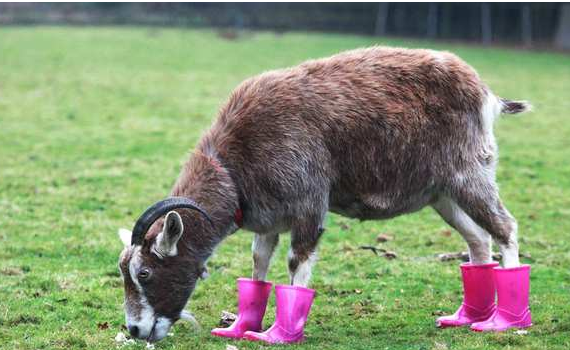 Instead, a cute photo of a goat in wellies is included. Weather as click bait? It’s an excellent choice! It’s popular, important and low-cost content that is sure to drive traffic. Why not have a bit of fun with it and add value for advertisers while you’re at it. Who would have thought that the daily newspaper in a government town would take risks (albeit calculated ones) to engage readers, attract new audiences and remain relevant.